Dennis Eastman spent 15 years serving in multiple roles in the field of education (Social Studies teacher, coach, Athletic Director and Director of Faculty Induction) before becoming the principal of Nova Academy Early College High School, in Santa Ana, California. During his tenure as principal, U.S. News and World Report recognized Nova Academy with a Bronze Medal ranking as one of the most improved schools in California. 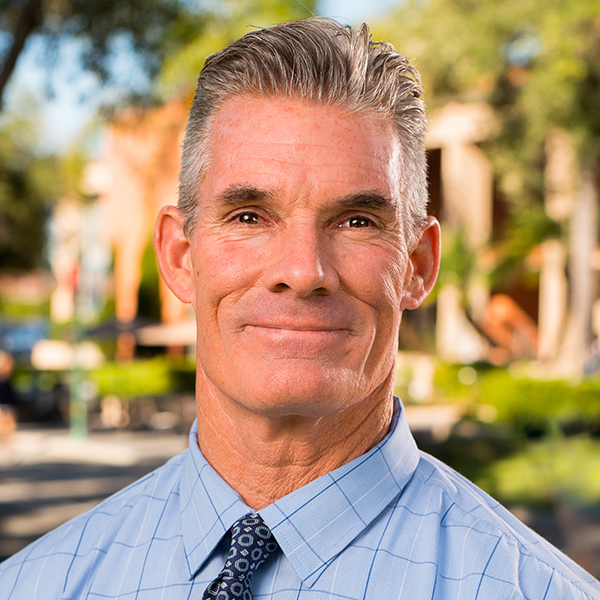 Eastman is currently serving Biola University as the Director of Teacher Education where he is able to combine his faith, expertise and enthusiasm for teaching and coaching into preparing the next generation of high quality educators. Eastman, D., Craig, E., & Battersbee, N. (November, 2014). Creating Community Through Rigor, Relevance, and Relationships: A Ten-Year Look at Serving At-Risk Students in Urban School Settings. Justice, Spirituality, and Education Conference. Biola University, La Mirada, Ca. Eastman, D. (October, 2014). Creating an Environment of Attempt for All Learners: Classroom Management Strategies. Phnom Penh, Cambodia. Eastman, D. (October, 2014). Biblical Integration using Socratic Seminar Model-Investigating Life's Big Questions to Arrive at Eternal Principles. Phnom Penh, Cambodia. Eastman, D. (January, 2014). Educational Theory: Behaviorism to Constructivism. Asian Hope Professional Development Workshops. Phnom Penh, Cambodia. Eastman, D. (November, 2013). Christian Worldview & Teaching Methodology in Daily Lessons. International Christian Higher Education Conference: Faith, Learning, and the Media of Hope. Jakarta, Indonesia. Eastman, D. (November, 2013). Creating a Community of Learners. Christian Education Development Program Workshop. Semerang, Indonesia. Eastman, D. (November, 2013). Biblical Integration with Subject Areas in Daily Lessons. Christian Education Development Program Workshop. Semerang, Indonesia. Eastman, D. (August, 2013). Creating an Effective Classroom Environment. Biola Youth Training Day. La Mirada, Ca. Eastman, D. (April, 2013). Creating an Environment of Attempt for All Students, Workshop. National Day for Students with Learning Differences. Beirut, Lebanon. Sidon, Lebanon. Eastman, D. & Bishop, C. (February, 2013). The Common Core and You: An overview of Common Core principles. Biola University, La Mirada, Ca.